A study of patients implanted with Orthofix Medical’s (NSDQ:OFIX) M6-C artificial cervical disc showed a significant improvement in neck and arm pain, function and quality of life scores, the company said today. Patients in the investigational device exemption (IDE) study also used less pain and opioid medication when compared with anterior cervical discectomy and fusion (ACDF) patients, and 92% reported they were satisfied with the surgery, the Lewisville, Texas-based business said in a prepared statement. At 24 months, patients in the ACDF group who were still using pain medications had a seven times higher rate of opioid use than those in the M6-C disc group, the study showed. In the M6-C group, 92% reported that were satisfied with the surgery. Zigler presented the study results during the International Society for the Advancement of Spine Surgery (ISASS) annual meeting in Anaheim, Calif.
A prospective, non-randomized, concurrently controlled clinical trial, the M6-C IDE study was conducted at 23 U.S. sites with an average patient age of 44 years. The study evaluated the safety and effectiveness of the M6-C artificial cervical disc compared to ACDF for the treatment of single-level symptomatic cervical radiculopathy with or without cord compression. The overall success rate for the protocol-specified primary endpoint for the M6-C disc patients was 86.8% at 24 months and 79.3% in the control group. This data statistically demonstrate that cervical disc replacement with the M6-C disc is not inferior to treatment with ACDF. M6-C disc patients demonstrated statistically significant improvement in the Neck Disability Index as measured at week six and months three, six, 12 and 24. Before surgery, 80.6% of the M6-C disc patients and 85.7% of the ACDF patients were taking pain medication for the treatment of their cervical spine condition. At 24 months, the rate of M6-C patients still taking pain medication dropped to 14% compared to 38.2% of the ACDF patients. Of these, there was a seven times higher rate of opioid use with the ACDF patients than with patients who received the M6-C disc. Average mean surgery time for the M6-C disc was 74.5 minutes versus 120.2 minutes for the ACDF procedure. M6-C patients also had shorter hospital stays and fewer needed follow-up surgery than ACDF patients. The M6-C artificial cervical disc is made of ultra-high molecular weight polyethylene fiber wrapped in a specific pattern, with multiple redundant layers that create a fiber matrix (artificial annulus). The fiber is then wound around a polycarbonate urethane polymer core creating an artificial nucleus. 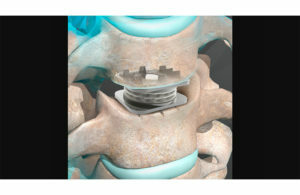 Like a natural disc, this unique construct allows for shock absorption at the implanted level, as well as provides a controlled range of motion when the spine transitions in its combined complex movements, according to the company. Orthofix said it will release the M6-C disc in 2019 through a controlled, limited market launch in the U.S. accompanied by an extensive training and education curriculum for surgeons. The device CE Mark approval for distribution in the E.U. and other countries in 2006; there have been more than 45,000 implants of the M6-C artificial cervical disc outside of the U.S. to date. 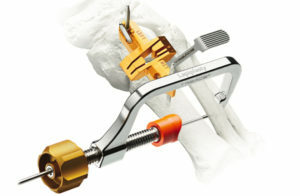 Treace Medical Concepts said a study of its bunion implant surgery showed more rapid healing than traditional osteotomy. The post Treace Medical touts results of bunion surgery study appeared first on MassDevice. Medtronic (NYSE:MDT) asked a federal appeals court for a full-bench review of its nearly $24 million loss in a patent infringement lawsuit brought by a physician inventor. In November 2016, a jury in the U.S. District Court for Eastern Texas sided with Barry, awarding $15.1 million for infringement of one patent, more than $2.6 million for infringement on the second and $2.6 million for overseas infringement. In January 2017 a judge reduced the $20.3 million verdict by $2.6 million, ruling that Barry did not present sufficient evidence on the overseas violation but upholding the U.S. infringement claims. Later that year, the court awarded total damages of nearly $24 million. In January the U.S. Court of Appeals for the Federal Circuit issued a split 2-1 opinion affirming the lower court’s decision. In a March 27 filing, Medtronic asked the appeals court to seat its full complement of judges for a review of the case, arguing that the dissenting judge’s argument on one of the patents should carry the day. 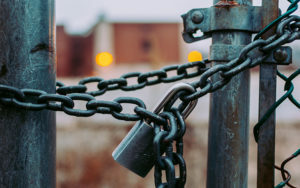 “Rehearing is warranted to reaffirm that such post hoc testimony, unsupported by contemporaneous objective evidence, cannotsave otherwise-invalid patent claims from operation of the statutory on-sale and public use bars,” Medtronic wrote in its rehearing petition. 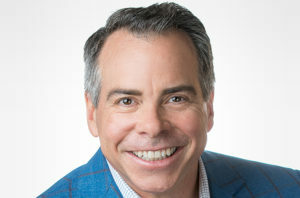 The post Medtronic seeks another bite at the apple in $24m patent loss to spine doc inventor appeared first on MassDevice. The FDA today cleared Mirus‘s Europea pedicle screw system, which is composed of its MoRe proprietary molybdenum rhenium superalloy, making it the first such device approved with the new class of implant material. The Atlanta-based medical device company said that the MoRe proprietary alloy is intended to provide improved strength, ductility, durability and biological safety. “Spine deformity surgery in adults remains plagued by the poor performance of current implants with rod failure occurring in 18%-20% of patients. The MoRe alloy shows great promise in improving the durability of adult spine deformity constructs. This advance will help prevent early revision surgery and improve outcomes in adult deformity surgery in particular,” Dr. Munish Gupta of Washington University said in a press release. “This new material with its greater strength, fatigue resistance and superior biological properties will allow us to make lower profile foot and ankle implants leading to smaller surgical exposures and reduced revision rates,” Dr. James Nunley of Duke University said in a prepared statement. Mirus added that it believes the MoRe alloy will allow for a new generation of smaller, stronger, more durable and bio-friendly implants which it hopes will result in less tissue disruption, faster recovery and improved patient outcomes. “FDA approval of the Europa Pedicle Screw System with our patented MoRe superalloy is the culmination of over ten years of research and development. Our scientists and engineers working with world class metallurgists have created the greatest advance in medical implant material technology in at least four decades. The MoRe superalloy will revolutionize many aspects of the medical device industry as the first alloy approved by the FDA for use in an implant which is not based on titanium, cobalt or iron with their inherent limitations. The FDA requires a rigorous level of scientific investigation to establish the safety and effectiveness of a spine implant that utilizes a new medical alloy. In response to FDA guidance, our scientific team led by Jordan Bauman, VP of Regulatory, developed a comprehensive body of evidence which served as the basis for approval of this major advance in patient care. We are fortunate to be collaborating with an outstanding worldwide group of orthopaedic and neurosurgeons in developing transformative spine solutions. Additionally, MiRus is rapidly expanding into other orthopaedic applications such as foot and ankle and has made significant progress in cardiovascular applications of the MoRe® superalloy,” founder & CEO Dr. Jay Yadav said in prepared remarks. The post FDA clears first molybdenum rhenium pedicle screw appeared first on MassDevice. 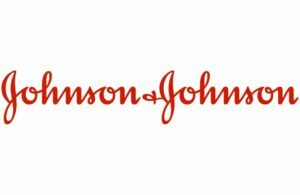 Johnson & Johnson (NYSE:JNJ) unit DePuy Synthes last week sued Orthofix (NSDQ:OFIX) and a pair of former DePuy sales reps, alleging that its rival lured the reps and two other colleagues away so it could poach DePuy clients in Alabama and Texas. According to the suit, filed in the U.S. District Court for Eastern Texas, DePuy hired Thomas Wells and Michael Sewell in 2012 as sales consultants for DePuy Synthes for the territory around Dothan, Ala. After the duo quit in March 2017 within hours of each other, the suit alleged, routine inventory checks at one of their clients revealed Orthofix devices and instruments that were sterilized and ready for surgery at on of their DePuy clients, Southeast Alabama Medical Center. “In other words, Orthofix equipment had been brought in and was ready to be used in surgery,” according to the suit. 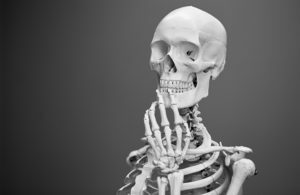 And although DePuy products were slated to be used in multiple procedures that week, all but one of those cases were canceled. The lawsuit seeks actual and compensatory damages, disgorgement of all profits generated by Wells Sewell, Mackey and Middleton, legal costs and interest. The post J&J’s DePuy Synthes goes after Orthofix, ex-reps in poaching lawsuit appeared first on MassDevice. A federal appeals court declined a full review of its earlier decision to affirm a $248 million win for Stryker (NYSE:SYK) in its surgical tool patent case against Zimmer Biomet (NYSE:ZBH). The U.S. Court of Appeals for the Federal Circuit last December upheld treble damages in the case, based on a U.S. Supreme Court decision in Halo Electronics v. Pulse Electronics that relaxed the standard for enhanced damage awards in patent infringement cases. Zimmer Biomet appealed that per curiam decision, asking for both a three-judge panel and the full Federal Circuit bench to re-evaluate the case. The court denied both petitions March 19, setting March 26 as the date for issuing the mandate of the court. The case dates back to December 2010, when Stryker sued Zimmer the U.S. District Court for Western Michigan, alleging infringement of three patents covering wound debridement technology by Zimmer’s Pulsavac Plus device. In February 2013 a jury awarded $70 million to Stryker; Judge Robert Jonker trebled the damages in August of that year. The Federal Circuit in 2014 rolled back that $228 million ruling, finding that Stryker failed to prove willful infringement. Stryker appealed to the Supreme Court, which vacated the appeals court’s ruling and ordered it to reconsider the case. The Supremes found that the Federal Circuit’s test was too rigid and allowed egregious infringers to evade liability. The post Appeals court declines full review of $254m Zimmer loss to Stryker appeared first on MassDevice.